Full moons bring light to the dark, to what's been in the unconscious. Unprecedented, ongoing evolutionary currents of light are amplifying what remains in the shadow. We are scraping the bottom of the karmic barrel, recognizing and releasing the residues of old trauma, beliefs, and programming. Much of what we are feeling and dealing with may have more to do with the past than the present. As soon as you catch yourself off center, take a few deep breaths, call in your spiritual support team, and set your intention to respond rather than react. If it feels like everything is accelerating, that’s because it is. What may have taken years or even lifetimes in the past, we are now able to process and clear in a few days, hours, or even minutes. Pace yourself and turn to nature, music, and creative expression of all kinds to facilitate the recalibration process. The next full moon peaks on Monday, September 8 at 6:38 PM PDT. 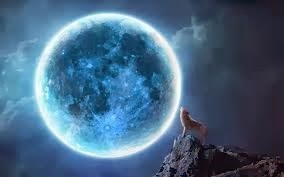 This is the fifth of five SuperMoons this year, generating more extreme tidal, wind, and weather activity, as well as greater emotional surges and shifts in consciousness. ‘SuperMoon’ is a term coined by astrologer Richard Nolle for when the Moon is at or within 90% of its closest approach to the Earth during a New or Full Moon. While not as strong as an eclipse, SuperMoons increase the electromagnetic influences of the Sun and Moon and offer greater opportunities for change. With the Sun in Virgo opposite the Moon and Chiron in Pisces, and Venus in Virgo opposite Neptune in Pisces, this full moon continues the emphasis of the last new moon: the conscious integration of body and mind, heart and soul. We are both matter and spirit, physical and meta-physical beings. We receive 20,000,000 bits of information each second, but can consciously process only about 40 of those; our brain limits our awareness to what appears essential at that moment. While this filtering mechanism helps us to focus and function, it also greatly narrows our view and our understanding of the world. Spiritual practices, entheogens, and various healing modalities can open the doors of perception, but positive emotions such as love, gratitude, and compassion also make us much more aware, creative, and connected. The Moon at 16° Pisces forms a close water grand trine with asteroids Juno at 16° Cancer and Vesta at 17° Scorpio; this highlights the importance of developing and expressing our feminine, feeling side more fully, through paying attention to our emotions, letting go of what is not healthy, and trusting our intuition. Our emotions are modulated by interactions between the brain, the hormone oxytocin, and the vagus nerve. Oxytocin reduces anxiety and depression, raises pain thresholds, and promotes growth and healing. It surges from any kind of loving touch, and increases through singing, dancing, playing, or exercising with others as well. Research shows that giving, receiving, or even witnessing an act of kindness also raises our levels of oxytocin. The vagus nerve connects our brain with our heart and plays a large role in our immune and parasympathetic nervous systems. The higher our vagal tone, the healthier, happier, and more flexible we are on all levels. Vagal tone can be significantly improved with breathing exercises and mind-training; research participants who practiced a loving-kindness meditation for only one hour a week significantly increased their vagal tone. For more on the power of positive emotions, readLove 2.0 by Dr. Barbara Fredrickson, or visit Heart Math's website here. Several other alignments catalyze realizing and acting on our heart's desires. Saturn’s conjunction with Vesta on September 13 at 19° Scorpio compels us to look at whether our relationships are supporting our spiritual goals. Venus’s exact opposition to Neptune on September 10 (6° Virgo–Pisces), trine to Pluto on September 14 (11° Virgo–Capricorn), and opposition to Chiron on September 17 (15° Virgo–Pisces) offer support for healing self-esteem issues and the tendencies to sacrifice ourselves for others. Mercury, the traditional ruler of Virgo, is square Pluto (exact on September 9 at 11° Libra–Capricorn) and opposite Uranus (September 13 at 15° Libra–Aries), impelling us to be completely honest with ourselves and others. Translated into English, the current cosmic message is this: “Dear Human: You’ve got it all wrong. You didn’t come here to master unconditional love. That is where you came from and where you’ll return. You came here to learn personal love. Universal love. Messy love. Sweaty love. Crazy love. Broken love. Whole love. Infused with divinity. Lived through the grace of stumbling. Demonstrated through the beauty of… messing up. Often. You didn’t come here to be perfect. You already are. You came here to be gorgeously human. Flawed and fabulous. And then to rise again into remembering... Love, in truth, doesn’t need ANY other adjectives... It doesn’t require the condition of perfection. It only asks that you show up. And do your best. That you stay present and feel fully. That you shine and fly and laugh and cry and hurt and heal and fall and get back up and play and work and live and die as YOU. It’s enough. It’s Plenty.” (Courtney A. Walsh; here). These new and full moon updates are sent as a service to my astrology clients, students, and friends. 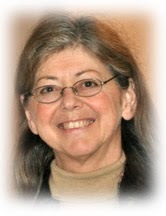 To subscribe for 25 updates/one year via PayPal, click on http://ecoastrology.com/forecast.html, or send a check for $12 (or more) to Stephanie Austin, Box 1745, Port Townsend, WA 98368, along with your email address. Your support is greatly appreciated! September 11 - 19: The Secrets to Finding True Love, a no charge online series here. Reality Reconciles Science and Religion: fascinating TED talk by Rev Michael Dowd here. How one man planted a forest now larger than NYC Central Park - inspiring video here. An Act of Dog: An Artist's Effort To Foster Compassion by Michelle Burwell here. Jana Stanfield sings her beautiful If I Were Brave and other empowering songs here.